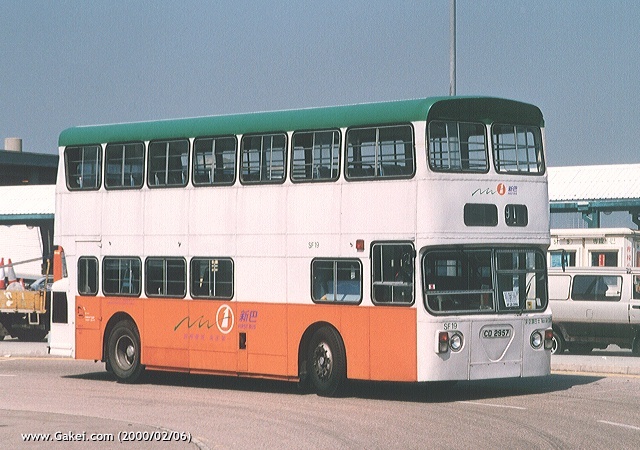 SF3 was the oldest SF in the NWFB fleet, and is seen in the original CMB colour. 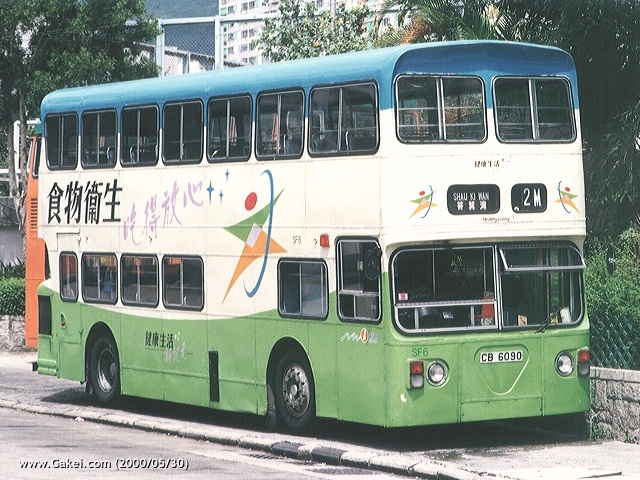 The advertisement of SF4 was about human rights, which was "brought forward" from CMB era. 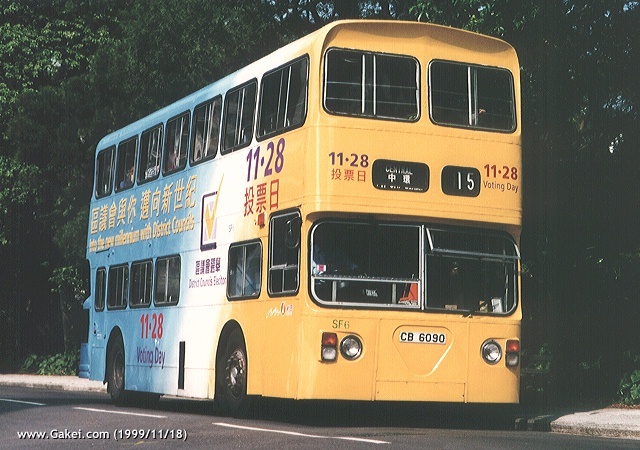 SF6 is seen serving Route 15, and having an advertisement for promoting the Distrct Councils Election on 28 November 1999 . 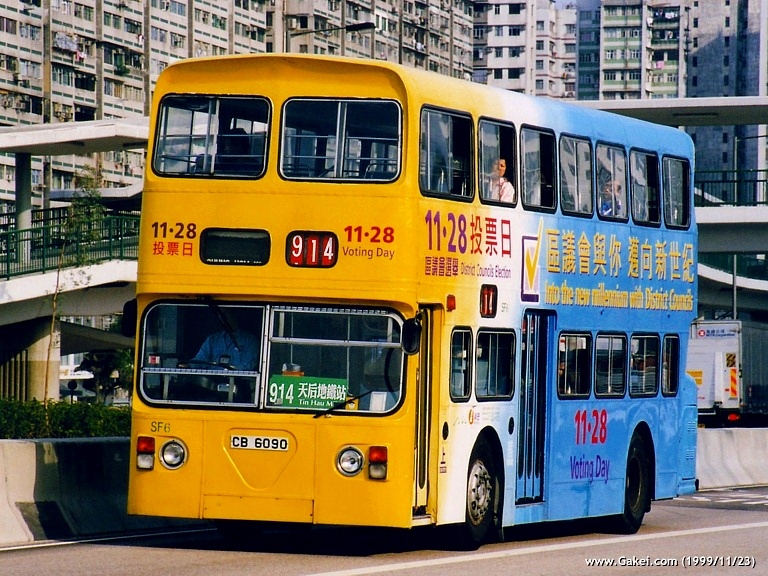 Another photo of SF6, while this time the bus was serving Route 914. 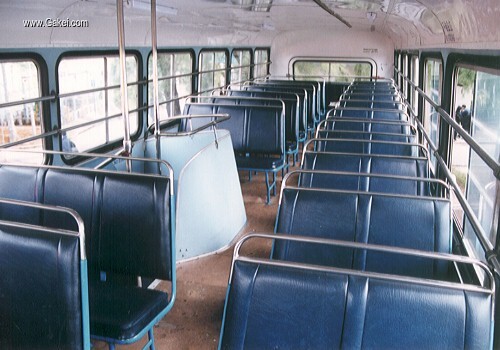 Route 914 had been fully air-conditioned starting from the New Year's Day of 2000. The second, and also the last all-over advertisement of SF6. It was also a government advertisement, which told us: Good Health Starts with Food Hygiene. 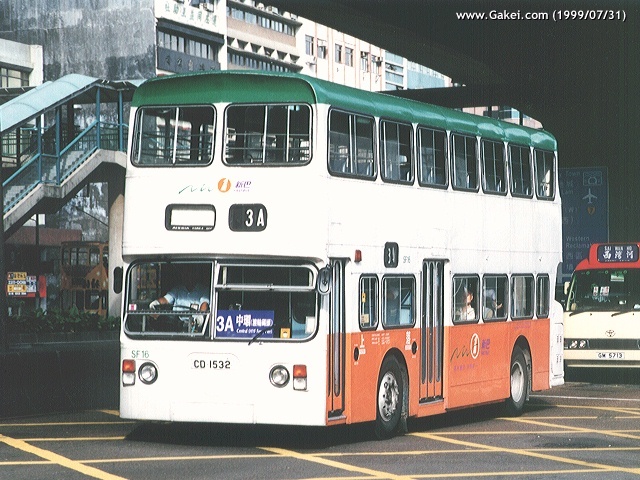 The photo was taken when SF6 was not in service and parking at Chai Wan East Bus Terminus. 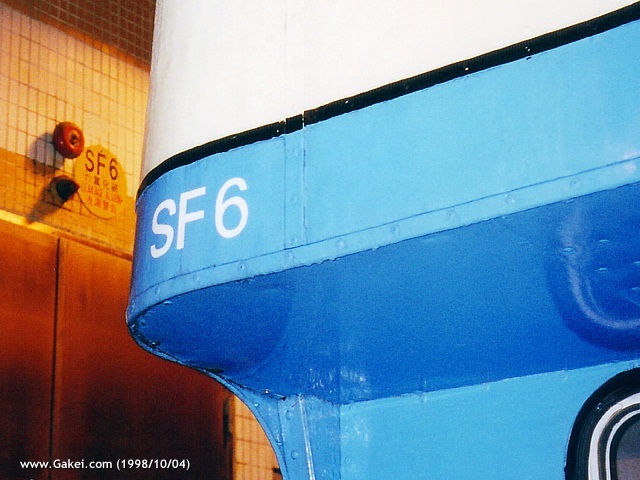 Question: What does SF6 stand for? 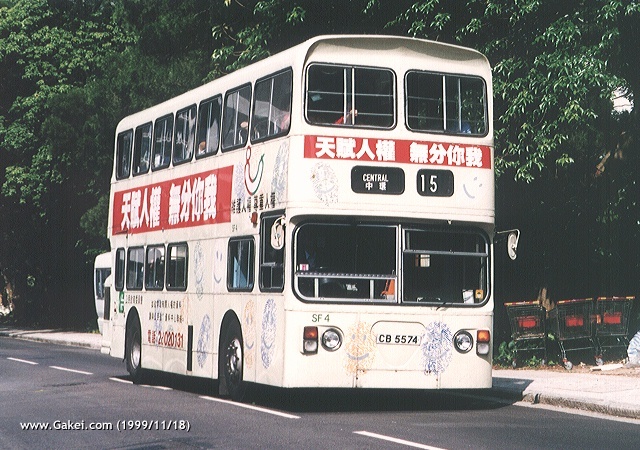 SF8 was painted with an attractive advertisment which promoted Route 15. 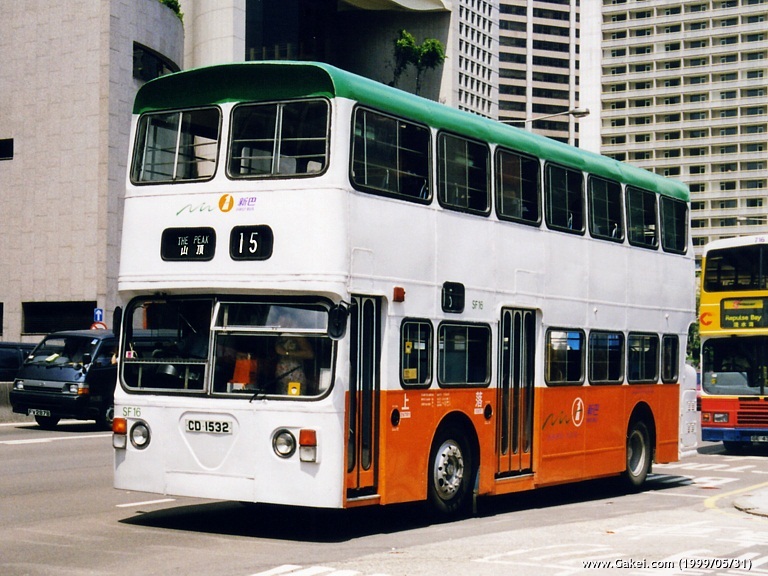 There were 2 verisons for this advertisement, The orange version was put on this SF8. 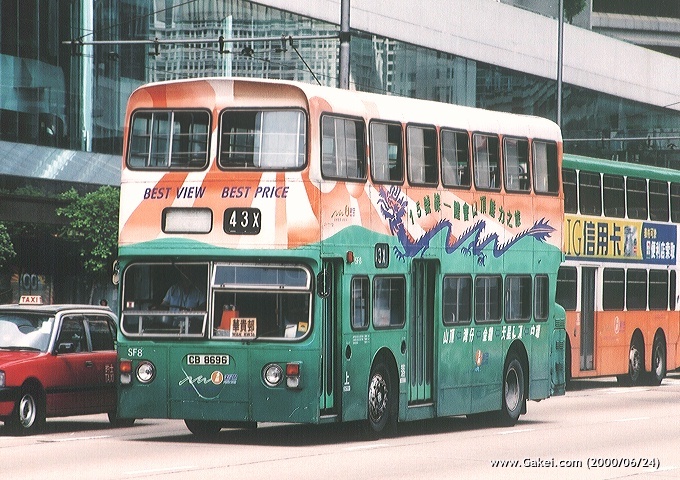 Route 43X was one of the last routes became fully air-conditioned. 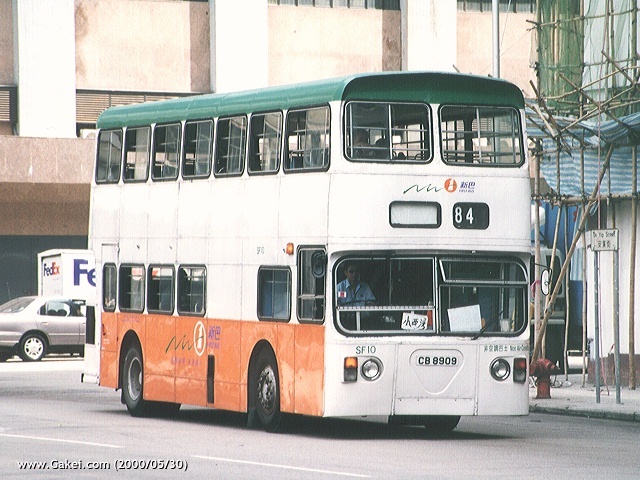 SF10 is seen outside Chai Wan Depot while serving Route 84. 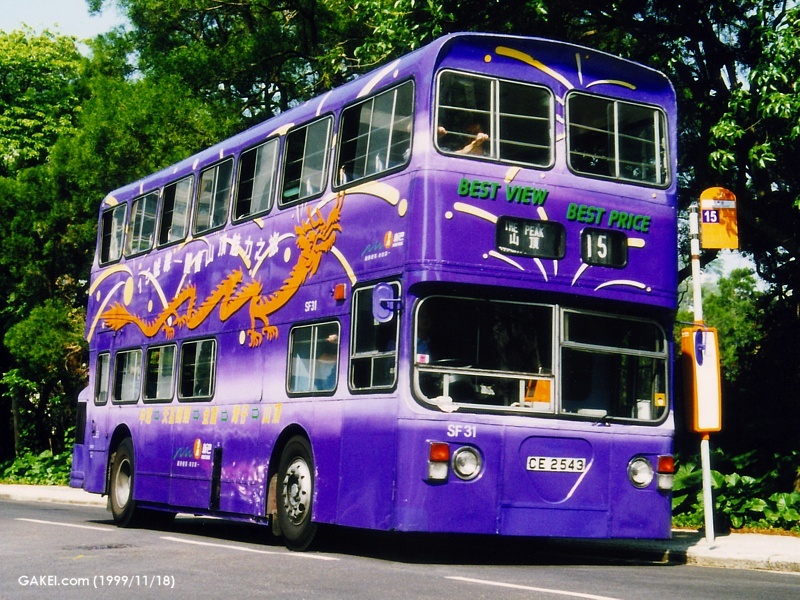 SF13 on Route 23A: It was a normal practice that, if the destination display could not show the destination, a plate showing the destination would be placed after the windscreen. 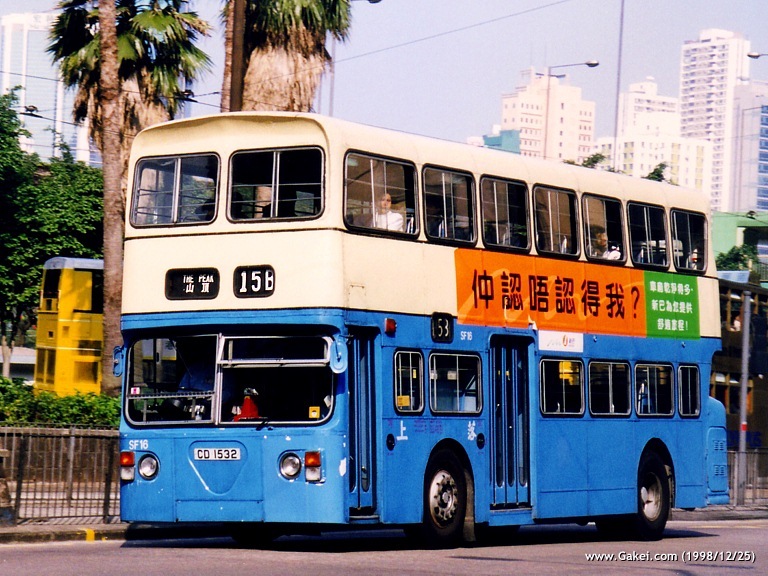 Another photo of SF16, which was taken shortly after the bus was repainted with the standard NWFB livery. 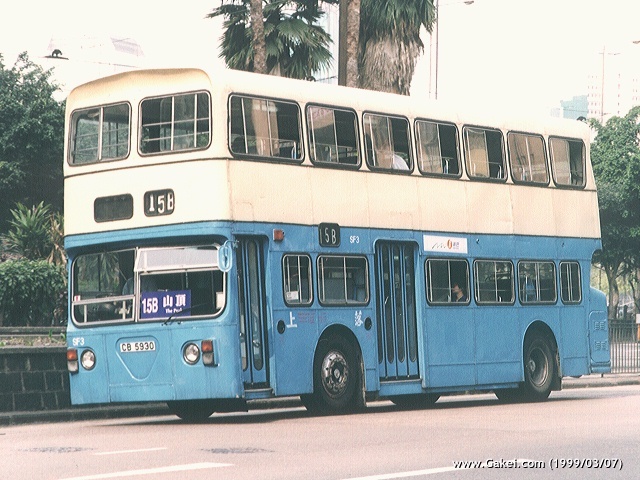 This photo showing SF16 serving Route 3A, a route that operates in the morning and evening peak hours only. 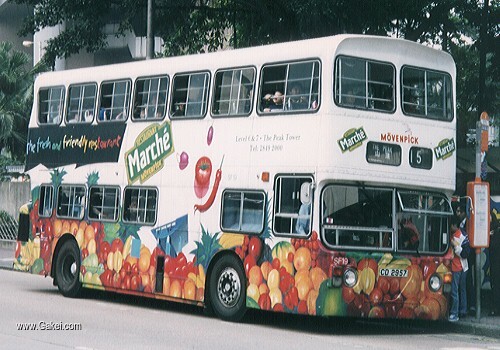 The all-over advertisement shown was brought forward from CMB era. 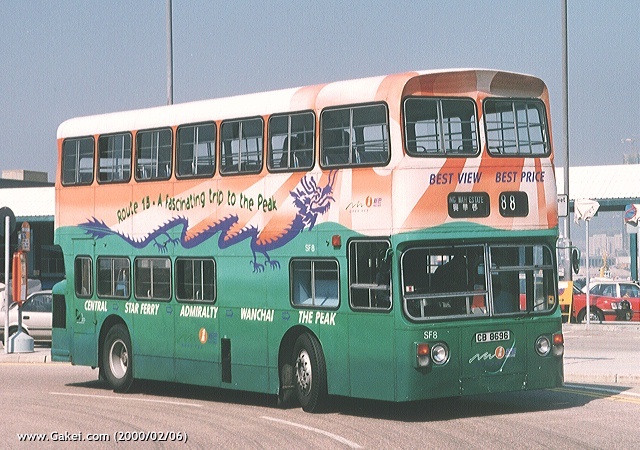 SF19 on Route 2: The NWFB colour was newly painted when the photo was taken. 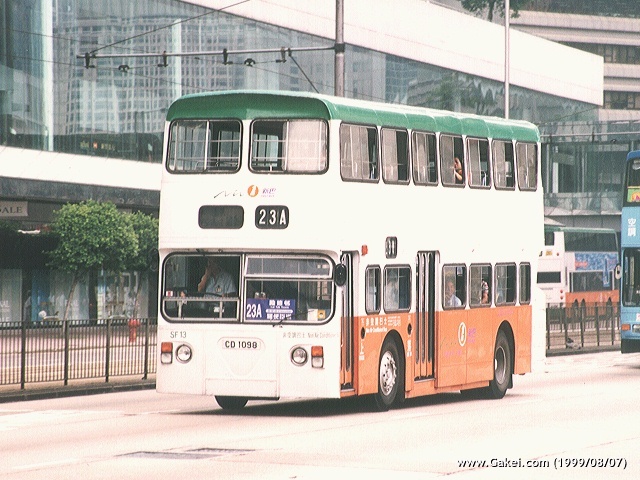 This day SF19 served Route 88 and is seen approaching Central Ferry Piers. 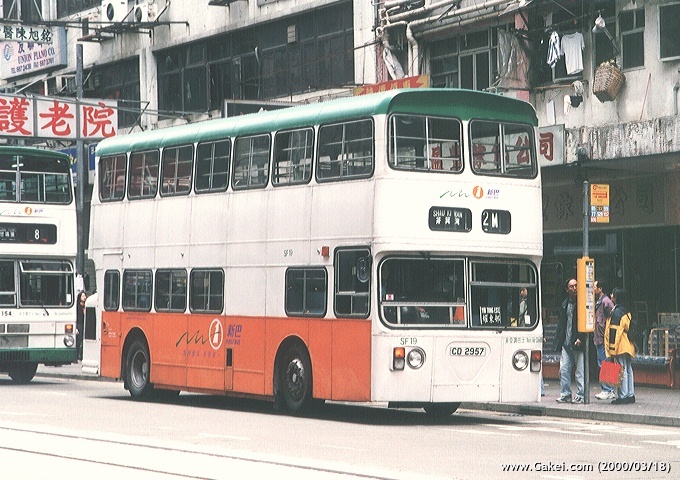 Route 2M is a very short route that links Yiu Tung Estate with MTR Shau Kei Wan Station. 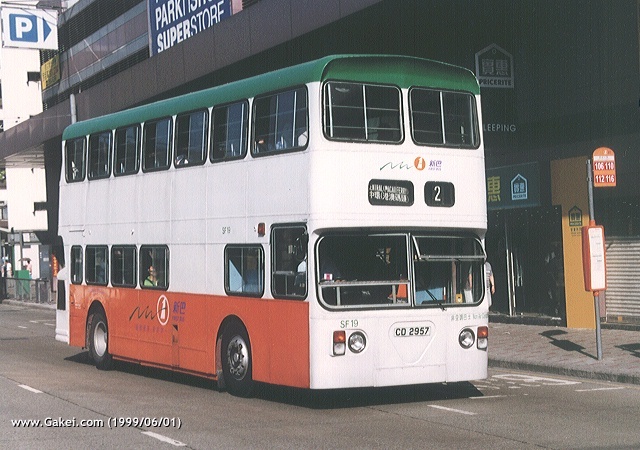 The photo was taken when the body of SF24 had just been repainted with the standard CMB livery. More SFs received NWFB livery later. 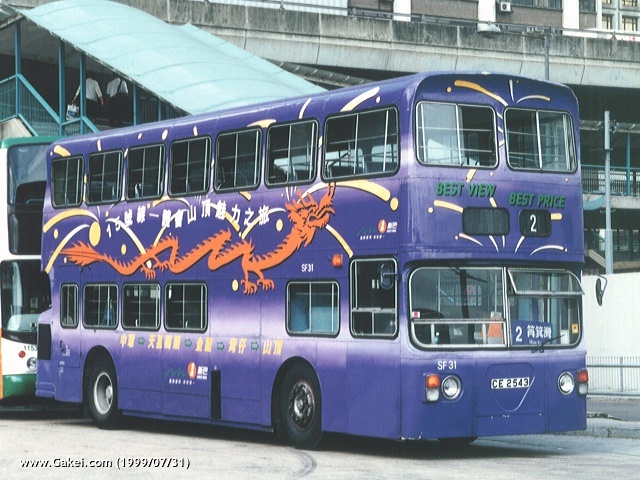 SF31 is another bus painted with promotional livery for Route 15. 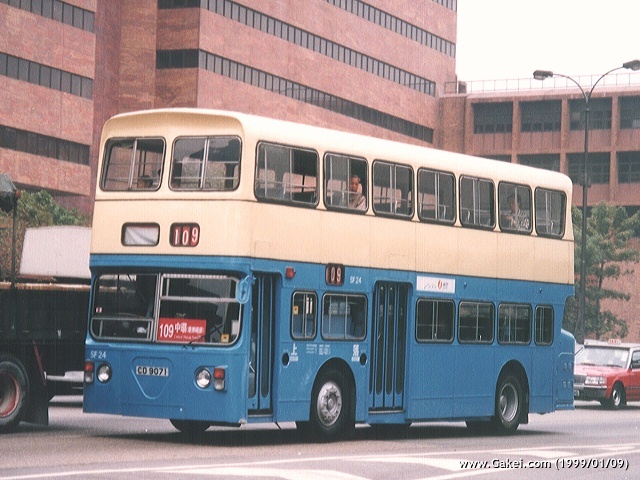 However, the bus is seen on Route 2 this day. 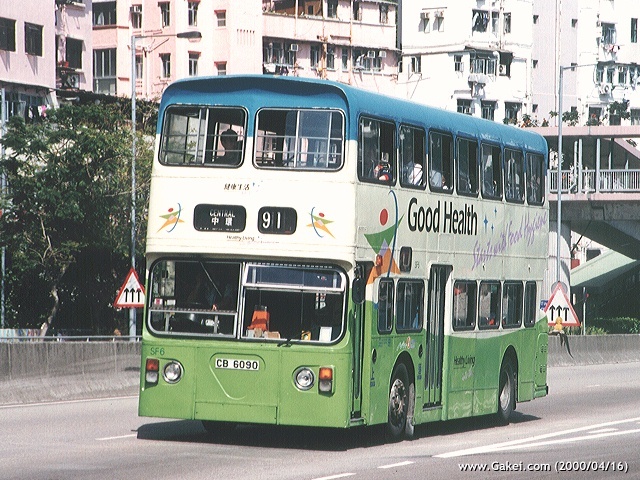 Another photo of SF31 running along the greenery Mansfield Road. 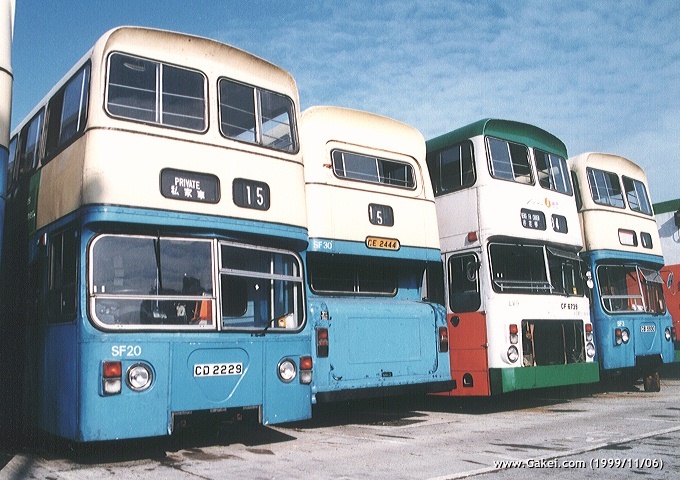 Some of the retired SFs waiting to be demolished in NWFB Shing Tai Road Depot. 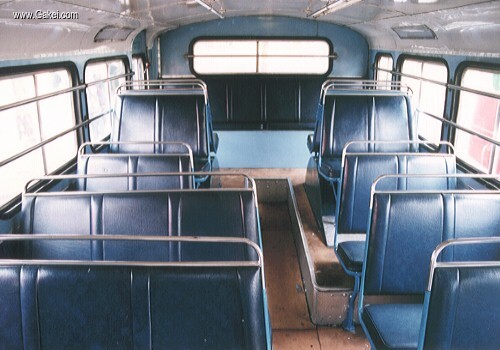 Interior views of a Leyland Fleetline.